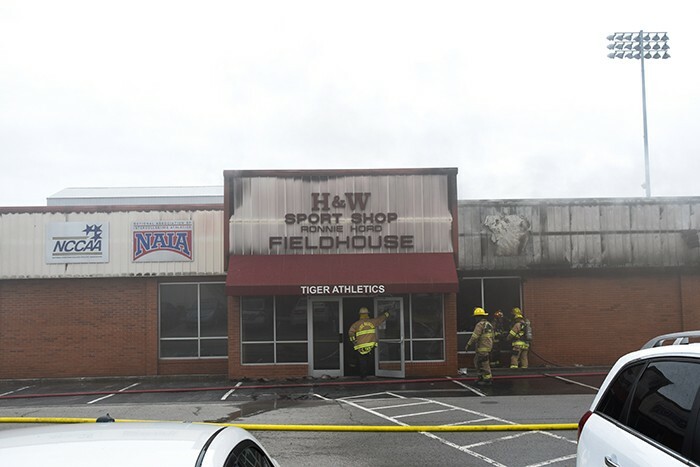 CAMPBELLSVILLE, Ky. – Campbellsville University’s H&W Sport Shop Ronnie Hord Fieldhouse caught fire earlier today, Feb. 8, at approximately 1 p.m. ET. Everyone made it out safely and no one was injured. 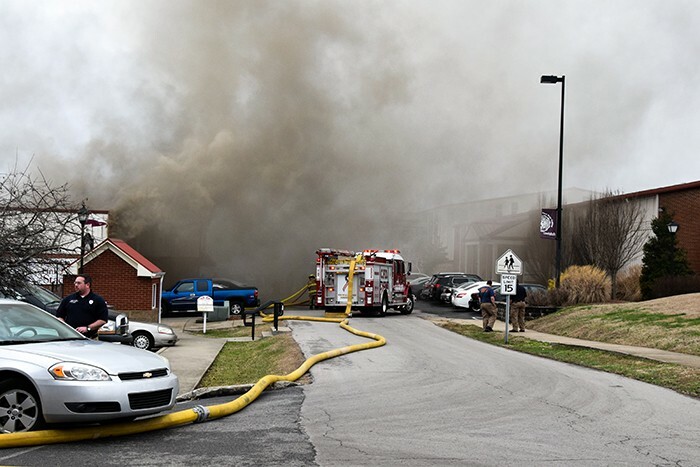 The fire was discovered inside the locker room storage and laundry area by Adam Preston and Alex Adams, men’s soccer coaches. 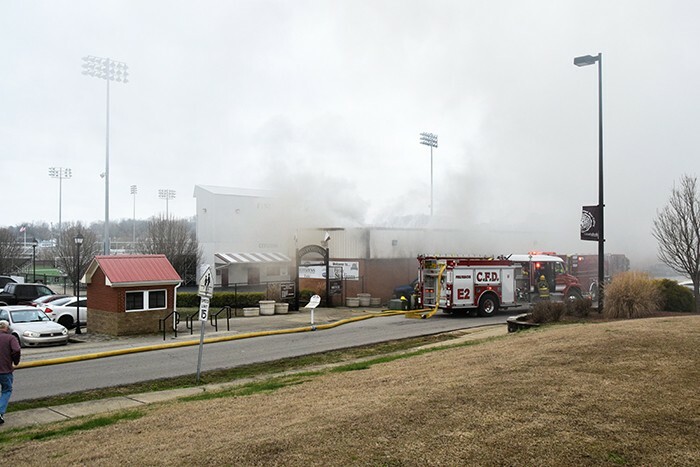 “It’s a sad thing,” said Rusty Hollingsworth, director of athletics. “This has been a great building for this university for a long time. 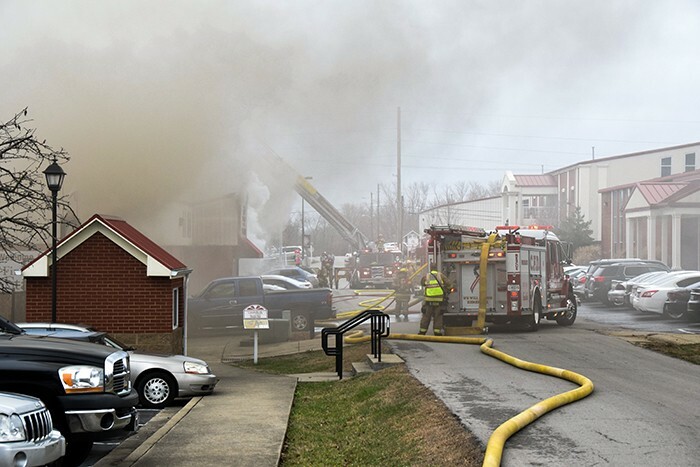 We had people in this community come over to watch games here, and at one time it was married student housing. 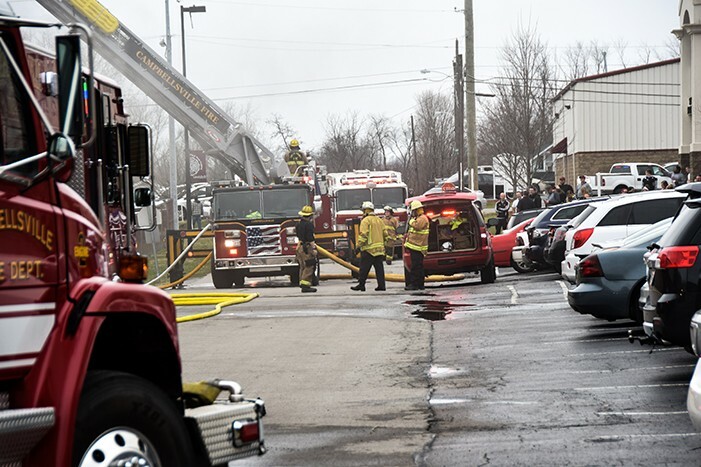 “I’d like to say thank you to everybody who made the area as safe of an environment as they could with the fire, and a special thanks to Taylor County’s Fire Department for arriving and extinguishing the fire quickly,” he said. The H&W Fieldhouse was dedicated to former Tiger and longtime supporter Ronnie Hord. Hord, the former owner of H&W Sport Shop in Campbellsville, Ky., started a partnership with CU in 1969 and H&W Sport Shop has been a corporate sponsor for many years. Campbellsville University is a widely acclaimed Kentucky-based Christian university with more than 4,500 students offering over 80 programs of study including 19 master’s degrees, six postgraduate areas and seven pre-professional programs. The university has off-campus centers in Louisville, Harrodsburg, Somerset and Hodgenville with instructional sites in Elizabethtown, Owensboro and Summersville and a full complement of online programs. The website for complete information is campbellsville.edu.